For international moving services, don't settle for less. Turn to University Van Lines in Rahway, New Jersey, for meticulous home or office moves, as well as storage solutions. 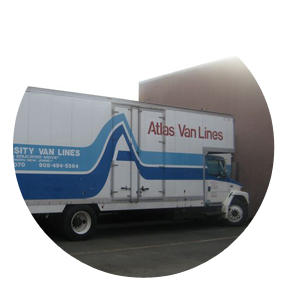 As an agent of Atlas Van Lines, Inc., the second-largest carrier of household goods in the US, we are committed to helping people move their belongings easily and securely. If there's anything more difficult than relocating across the state, it's moving to another country. Leave everything to us, because we are experts in household relocations around the world. We help you clear customs barriers, navigate unfamiliar cities, and handle all port procedures as quickly as possible. It's not practical to bring all your belongings with you in one go. This is especially true if you're planning to relocate abroad. That said, we have containerized storage units in an environmentally controlled warehouse where you can store all your furniture and belongings as long as needed. The warehouse is equipped with alarms and cameras, and is fully air conditioned and heated. Rely on us to keep an eye on your possessions.